Patrick Lencioni, in The Five Dysfunctions of a Team, believes the ultimate measure of a team is their ability to consistently achieve the results they set. Lencioni believes, in this day of informational ubiquity and nanosecond change, teamwork remains the one sustainable competitive advantage that is largely untapped. 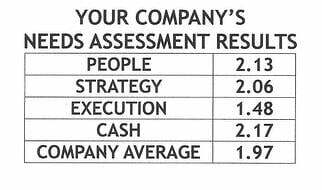 How is your leadership team doing based on this scale of achievement? Watch this 4 minute video on the Five Dysfunctions of a Team. What’s Your Organizations Success Rate? In October, one of my customers' Leadership team attended the Denver ScaleUp Summit. Immediately following I facilitated The Five Dysfunctions of a Team exercises. I’d recommended this in November of 2015 when we started working together. Another team member who reluctantly participated, became the biggest advocate, leading the group to commit in developing the theme. He followed up, sharing the notes he’d taken on everyone’s commitments to improve their strengths, over come their weaknesses, to limit these from inhibiting the teams’ performance. This is my customer’s 5 Dysfunctions of A Team theme. Every leadership meeting, our Annual Planning meeting begins with reviewing these commitments. They agreed to commit to this theme for 2019! We shared this theme in What Are You Exactly Saying Yes To. Having completed the 5 Dysfunctions Exercises, I believe my customer success rate will consistently surpass the 75% mark. Conflicts still exit in personalities, the difference is, these conflicts and personality differences are transparent. Each team member is committed to work through their challenges, recognizing theirs and others leadership strengths that contribute to the team. Egos are gradually being eliminated for the success of the team. Their commitment to 2019 One Thing shares this confidence. As a reminder here is a description of the Five Dysfunctions. My team worked through these 5 exercises through one day together. 5 Dysfunctions of a Team Outdated? 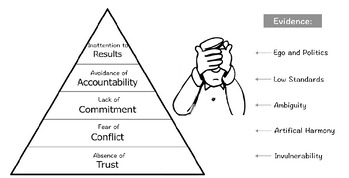 Patrick Lencioni’s 5 Dysfunctions of a Team appeared in 2002. Changes in business and leadership have occurred since then. 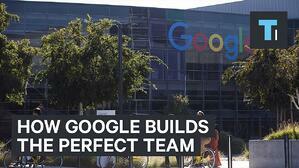 A recently published article in the NY Times, What Google Learned From Its Quest to Build the Perfect Team, suggests Lencioni’s principles are not only on track, but are a reliable platform to build a winning team. “One study, published in The Harvard Business Review last month, found that ‘the time spent by managers and employees in collaborative activities has ballooned by 50 percent or more’ over the last two decades and that, at many companies, more than three-quarters of an employee’s day is spent communicating with colleagues. Leading and working inside a team is increasing! In Great At Work, Morten Hansen shares, “Organizations are “flatter” and less hierarchical. As a result, employees and managers must interact more across departments and work more in teams, including teams composed of members from different departments. 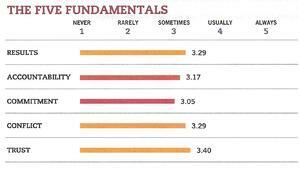 Great at Work: How Top Performers Do Less, Work Better, and Achieve More discovered in analyzing data, top performers mastered working with others in three areas: advocacy, teamwork, and collaboration. We’ll explore these in a future blog. Interested in improving your team’s ability to achieve results? 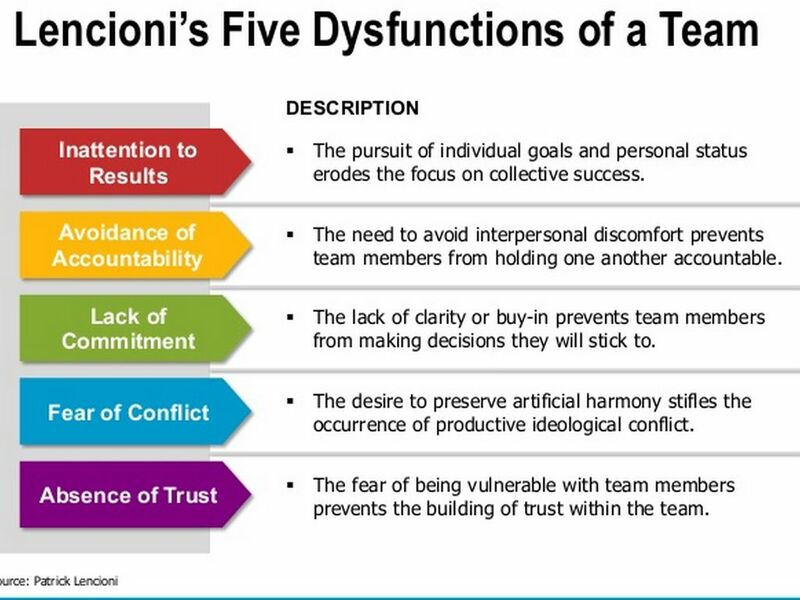 Read Lencioni’s 5 Dysfunctions of a Team. You and your team can take the assessment on line for $49/team member. 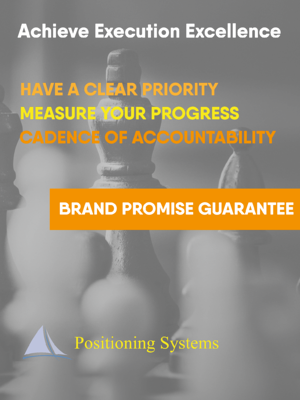 If you’re interested in applying Strategic Discipline and the ScaleUp principles to your business, as well as completing the 5 Dysfunctions of a Team exercise, contact me directly dwick@positioningsystems.com. To be Great at Work, author Morten Hansen, in his Denver ScaleUp Summit presentation, shared how leaders and employees combine passion and purpose. What is passion and purpose, and how can you combine these in your work to perform better? We’ll share how to create this “focused energy” next blog.